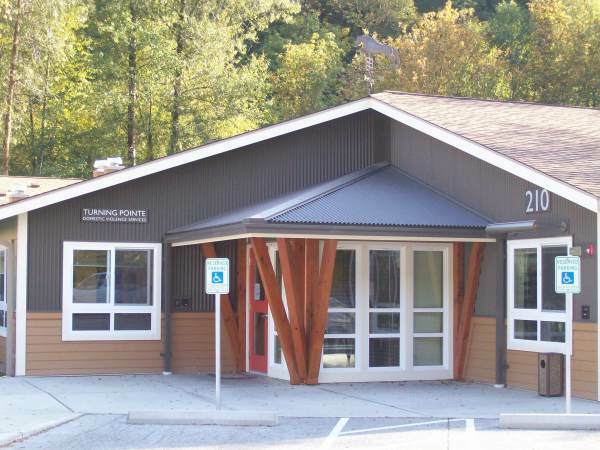 Turning Pointe Survivor Advocacy Center has been providing shelter and services for victims of domestic violence (DV) including women, children, men and family pets since 2000. With 60 beds Turning Pointe operates one of the largest domestic violence shelters in the state. Our shelter was built in 2008 and is unique in that we allow clients to bring their pets to the shelter. This is especially important because victims of domestic violence often stay in an abusive home because they are not willing to leave their pets with the abuser. The average stay at the shelter is 60 days but we do allow clients to stay for up to 90 days. We offer assistance locating housing and finding employment, and continue to provide advocacy and supportive services after survivors transition to more permanent housing for as long as they are in need. Our facility provides private rooms for families that are set-up as small suites with a kitchenette, beds and furniture. We have additional adjoining rooms with beds that are linked for larger families. We have a large community kitchen, adult, teen and children's lounges, fenced and secure outdoor spaces with play sets, a basketball court, patios, outdoor furniture, barbeques and pet kennels. We also have a food pantry, clothing bank and basic supplies including pet food and diapers.